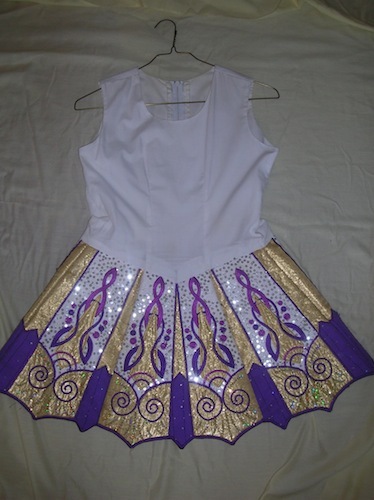 Beautiful Elevation dress in purple, gold and white. It is a 2 piece drop waist dress with a paneled skirt. 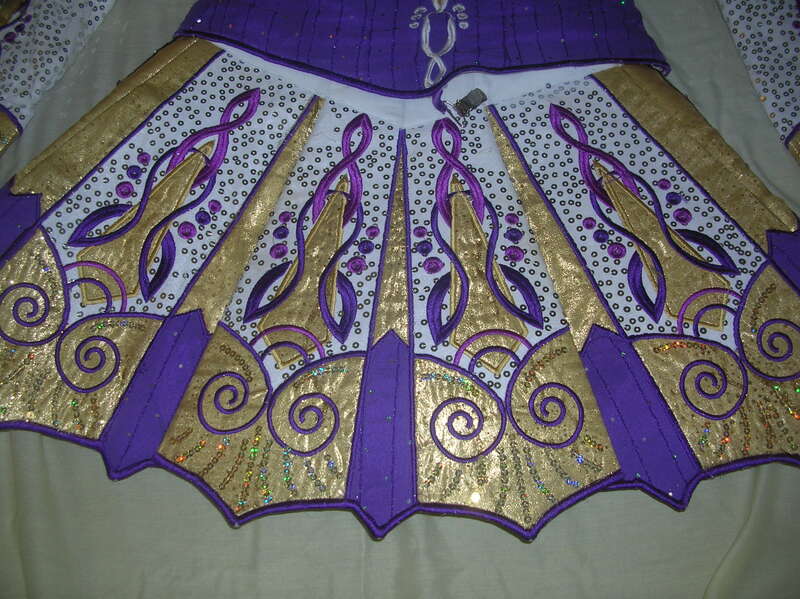 Very sparkly on stage, with beautiful embroidery. 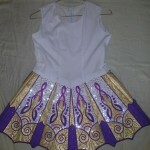 Dress comes with kick pants, headband and new purple jeweled number clip. 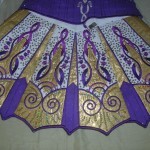 Plenty of room to let down or take up, as dress is a 2 piece with shoulder seams easily adjusted. 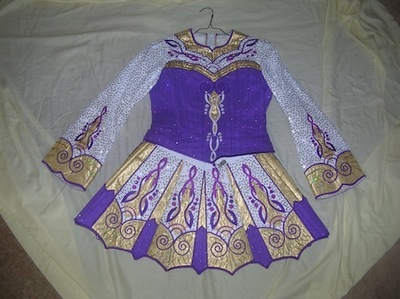 Asking Price: $US495.00. Shipping costs are not included in the asking price. Sale is final.